On January 2, six cases of ceasefire violations by militants of terrorist groups in the Donbas were recorded. As a result of shelling two soldiers of the Armed Forces of Ukraine (APU) were injured, according to the report by the press center of the ATO headquarters on Facebook. “The Russian-occupation troops continue firing at the positions of the ATO forces and disrupting the agreements of the Tripartite Contact Group on the ceasefire during the New Year and Christmas holidays. Over the past day, all enemy fire activity was recorded in the Donetsk direction," reads the report. Near Avdiivka, militants used heavy machine guns and small arms. Near the village of Verkhnyotoretske, the terrorists fired at the positions of the APU from 82-mm mortars and infantry weapons. 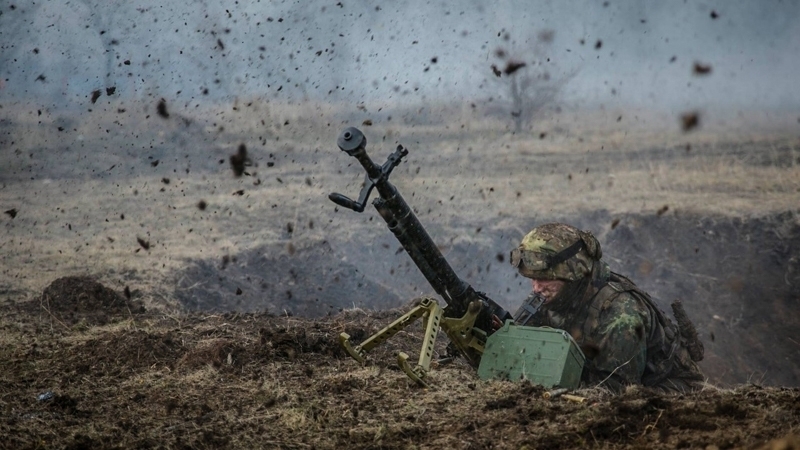 At the Pryazovia area, near Hnutove, the militants opened fire from mortars of 82 millimeter caliber, BMPs, grenade launchers, machine guns and small arms. QHA reported that during January 1, one Ukrainian military perished in the ATO zone. Ukrainian Defense Ministry spokesman Oleksandr Motuzyanik said that during the day of January 1 in the ATO zone, the militants carried out 5 targeted attacks at the positions of the Armed Forces of Ukraine, including using mortars of 82 and 120 mm caliber. The Ukrainian military returned fire in one of the cases.